4336 Harbor Way #6, Oceanside, CA 92056 (#190020149) :: Neuman & Neuman Real Estate Inc. This tri-level townhome offers four bedrooms in total with one convenient located on the first floor that enjoys an en-suite full sized bathroom and walk-in closet. On the second level is the open-concept main living area with a modern kitchen, dining room and living room that effortlessly connect. The master suite is also situated on the second floor along with a petite balcony and powder room. On the third story are two more bedrooms and another full-sized bathroom. The Collection is a new home community at the gated St. Cloud masterplan in Oceanside. Offering new upscale townhomes for sale, home shoppers will find five distinctive floorplans to choose from. 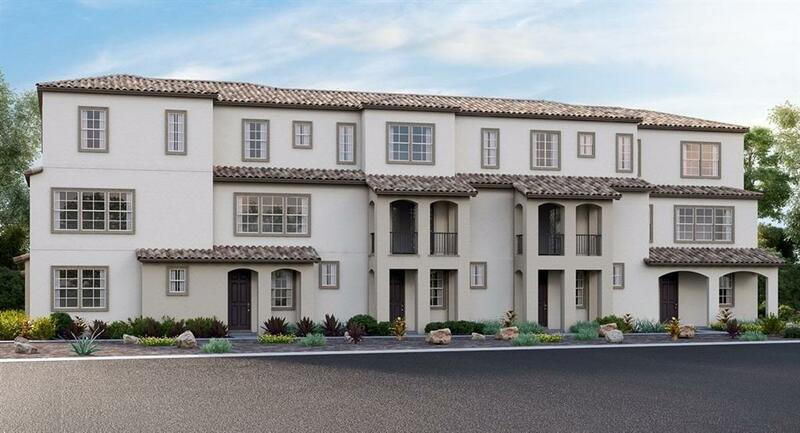 These townhomes range in size from approximately 1,322 to 2,218 square feet of living space with up to four bedrooms and three and one-half bathrooms. Each of these modern new homes showcases high-end details, such as open-concept living areas, convenient first floor bedrooms, gourmet kitchens, luxurious master suites and upper decks or balconies per plan. Plus, access to the close by amenities at The Cabana Club including pool, fitness center and more! Every home also comes complete with LennarÃ¢â‚¬â„¢s signature EverythingÃ¢â‚¬â„¢s IncludedÃ‚Â® program, which provides popular features and upgrades at no additional cost!